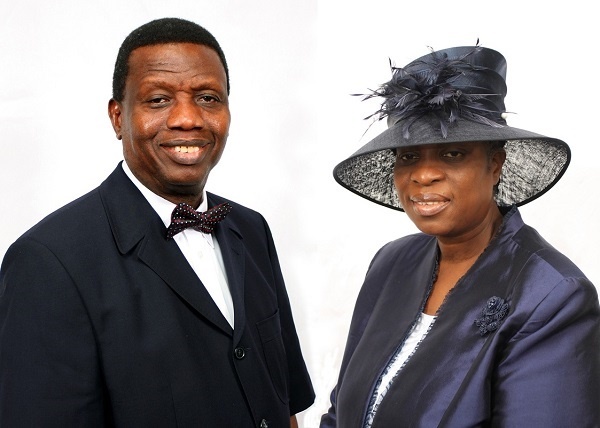 "When you fall out of cash, she falls out of love"
The wife of the General Overseer of the Redeemed Christian Church Of God (RCCG) Pastor Folu Adeboye has an advice for the youths. Mummy GO as she is called advised the youths to seek the counsel of their pastors first before their parents when they decide they want to get married. She said this while delivering her sermon at the church's Annual Youth Convention during the plenary session on Thursday. Pastor Adeboye also advised the youths not to marry on credit but ensure both parties especially the man get a job before marriage. "When you fall out of cash, she falls out of love," she said. Mummy G0's message seems like an offshoot of her husband's advice two years ago which aroused several reactions. Daddy GO had advised the youths not to marry outside the church. “Don’t ever marry outside RCCG. The reason is that if you are both from the same church even when trouble comes; it is easier for the pastors to handle it. "Don’t marry a girl simply because she can sing. In the choir there are some people that can sing but they are fallen angels. Adeboye also advised women not to marry men who do not have jobs. He said: “Don’t marry a man who has no job. Before God gave Adam, Eve, he gave him a job. He said this is the garden, keep it.